Big is always in style. 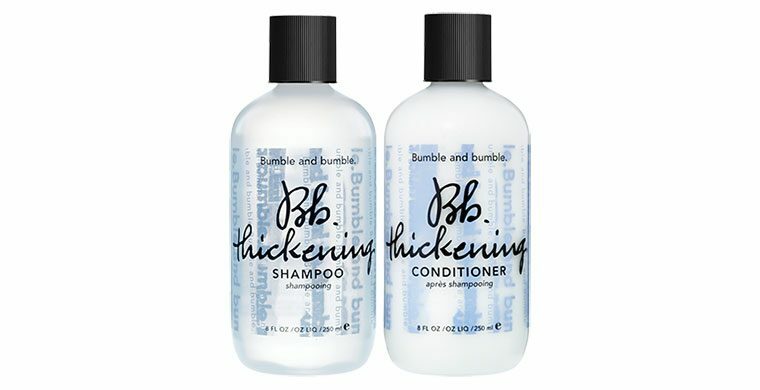 WHAT: It makes fine hair look and feel fuller, moisturizes without weight, helps seal split ends and tames flyaways. WHO: Fine, thinning, limp, flyaway hair; anyone craving fullness (color compatible). WHAT: It moisturizes without weight, protects, and contains a silk powder which adheres to hair strands and separates for fullness. WHEN: Daily; following Thickening Shampoo. HOW: Comb or work through clean, wet hair and rinse thoroughly (leave in for a minute or two).